We all know faith is one of the most powerful weapons in any Imperial Citizens’ arsenal. And knowledge of how to use faith, not just your own, but your compatriots’ as well, can save entire worlds. House Cawdor is a perfect example of this. Greetings Loremaster-initiates, today we are fortunate enough to discuss one of the most powerful weapons in the armory of the Imperium: Faith. We are privileged to praise the Emperor, and throughout the Imperium one can find the manifestations of faith. On some worlds, veneration of the Emperor takes the form of ritualistic ablution, and the adoption of a humble appearance: shorn heads and simple robes for dress. In other parts of the world, the worship of our Divine Emperor takes a more active form, full of fiery rhetoric and invigorating crusades. Let us see how the faith of the Cult of the Redemption kindles the best in humanity. In order to see this faith in action, let us travel to the violent underhives of Necromunda–here we shall find the Cult of the Redemption, a religious sect that worships the God-Emperor of Mankind. Necromunda might be the origins of its hot-tempered dogma, but cults like it can be found throughout the Imperium. At the core, their beliefs stem from the Imperial Creed, which holds that mankind is ruled and guided by the Emperor. But the Redemptionists, having seen the daily suffering of life of the hive dwellers, against the backdrop of the unattainable luxury of the nobles, and the anarchy and brutally short existence of the Underhive, they realized that they were trapped in a hellish existence, from which there is only one escape: Redemption. The Redemption believes that the only way to achieve redemption for themselves, Necromunda, and ultimately mankind, is to cleanse it of its sinfulness. Redemptionist prophets foretell of the destruction of not just Necromunda but of mankind. For Man to be saved it must be purged of sin. Their methods of redemption are highly violent, its members sworn to expunge all sin with fire and blade. 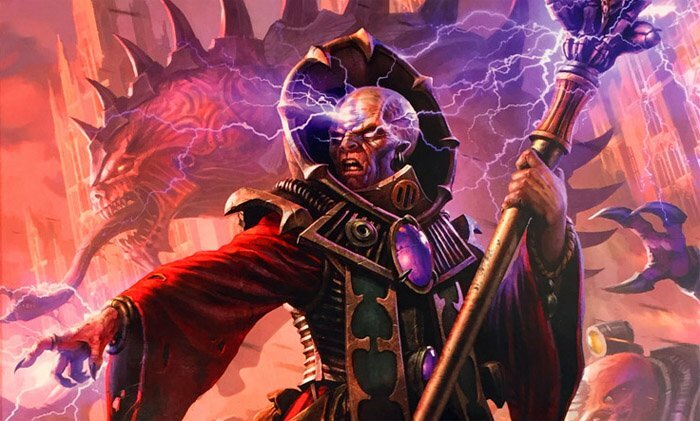 Unlike most extreme Imperial sects, Redemptionists do not limit their hatred and violent purges to just mutants, psykers or aliens, they see sin in every creature, which along with the sinner, must be destroyed through bloodshed and fire. All of these sins must be rooted out, lest the Universe itself be utterly destroyed and devoured by darkness that creeps from without. As such, the Redemption demands a strict code of conduct from its followers. The creed prohibits the consumption of alcohol or narcotic substances, as well as requiring daily self-flagellation and holy prayer to remain pure. Those who break the rules are driven away and become outcasts. Hivers who do not follow the Redemption are considered to be worthless infidels. The cult has adherents throughout the hive, while in House Cawdor it has attained the status of the official religion. As an unsanctioned sect, the Redemption has very little formal organization or physical assets, therefore they are generally limited to impromptu social gatherings in clandestine locations rather than large masses in grand cathedrals. During these gatherings, it is common practice for cult members to wear hoods or masks to conceal their faces during religious acts, though some of the Redemption also believe their faces must be hidden at all times from the sight of unbelievers. A Mob forms when many Redemptionists come together without the leadership of a priest or maybe without any religious guidance at all. Thus a mob is generally an incensed rabble of poor citizens who decide to take action against the first group of perceived sinners they can find. A Crusade is a gathering led by a religious figurehead, thus often has a more focused direction than a mob. And it is here, in the Crusade that we see what exactly Faith, given Purpose, can do. Armed with Faith (and whatever weapons might be close to hand, be they flamers or Chain Weapons or discarded autoguns), these Crusades can fight the heretical enemies of the Ecclesiarchy, or should an incursion of Xenos crop up, and the Redemptionists have the opportunity to overcome their sudden influx of terror at seeing an off-worlder for the first time in their short, suffering-filled lives, they can even be of service to the Astra Militarum. 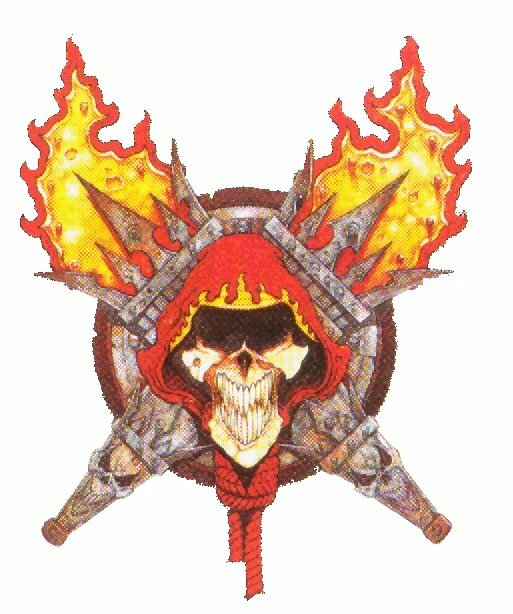 But even bereft of opportunities to turn their righteous fervor on the external enemies of the Imperium, they can instead act as a kind of cleansing fire. The religious focus of most Redemptionists is circumstantially inwards, focused on cleansing humanity more than cleansing the galaxy. This is likely due to most hive-worlders having never seen an alien or encountered a warp-denizen. Thus the most likely targets of Redemption crusades are other humans. So remember Loremaster-initiates, Faith is a weapon, and knowledge of how to use weapons can be the most dangerous tool in your arsenal. Left unchecked… Redemptionists might go after the unpious, decadent nobles of the Imperium. But if these unwilling nobles are brought low, and the Redemption left wanting an enemy a cunning Governor can find a powerful force waiting to be used. 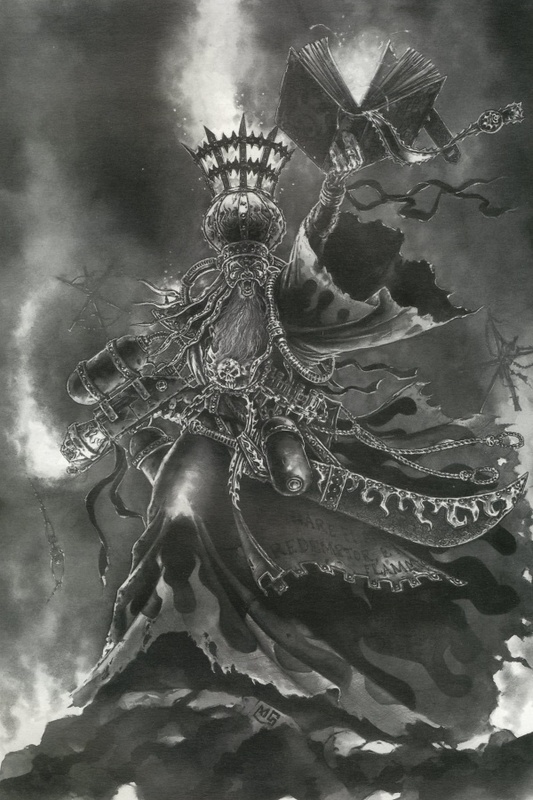 Of course, turning a cult of the Emperor to your own personal ends is heresy in and of itself, so take care, Loremaster-initiates, lest you find yourself on the other end of a Crusade…it is said Klovis the Redeemer knows all who would misuse the Redemption’s cleansing flame.